iOS 9 has introduced a new framework for contacts, it's called “Contacts Framework”. In this post, I would be focusing on how to do following operations on contacts. I would be using Contacts framework of iOS 9 as a replacement of AddressBook framework from the previous versions iOS. Apple has introduced new Contacts Framework in iOS 9, which replaces the AddressBook framework. 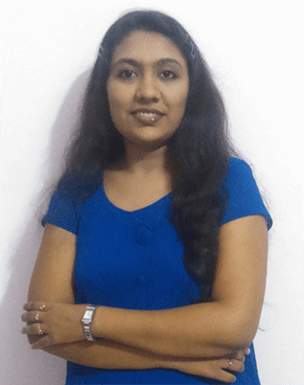 Accessing contacts information using AddressBook framework was very complicated task for developer. 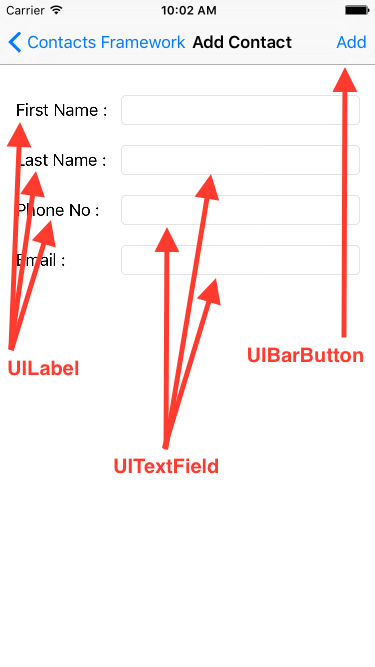 But new "Contacts framework of iOS 9 provides very easy API to access Contact information. Contacts Framework provides contacts not only from database of device but also from various sources like iCloud account and then return the associated contacts to the user. We can also search and filter the contacts using this Contacts Framework." Create new Xcode swift project named "ContactsFrameworkSwift". How to fetch all Contacts. Update existing contact using Contacts Framework. I have also explained new feature of Contacts framework to search the contact using NSPredicate. We will need to create layouts which will enable us to do add, edit, view and search contacts data. To create our layouts, we will need to use following controls from object library. Now we need to create swift files for the layouts. ContactsViewController.swift From which can select option. 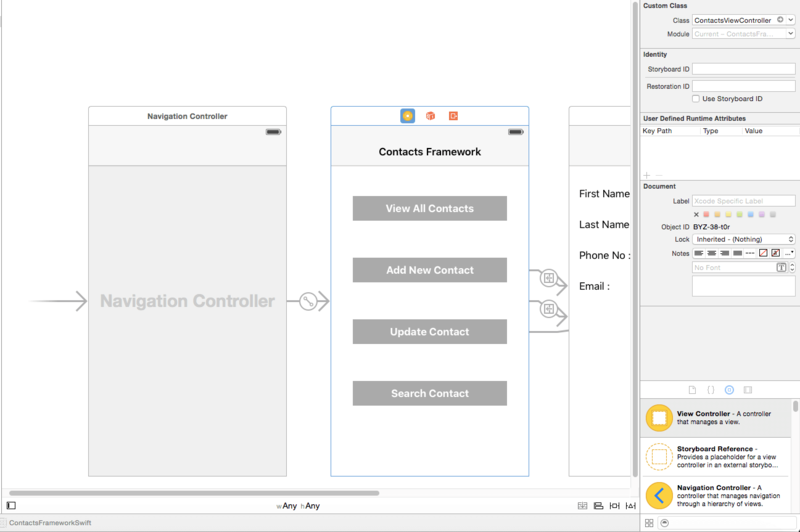 AddUpdateContactViewController.swift From which can Add or Update Contact data. When we working with the Contacts Framework for first time, we need to get authority to access Contacts Data. Using below method we will send request to authorize application to access Contact Data. let message = "\(accessError!.localizedDescription)\n\nPlease allow the app to access your contacts through the Settings." Authorized: We can access the Contacts data and can perform operation on contact data. NotDetermined: We can’t access the Contacts data and also can’t perform any operation. Denied: If user press doesn’t allow in alert then user has the status value as Denied. User can change this status from settings later. Restricted: We can’t access the Contacts data and also can’t perform any operation. Also for this status user can’t change the status from settings as restriction is activated from other control. Contacts Framework provides CNContactPickerViewController class to display contacts. If you use the function given below, it would look like the default Contacts Application. To create new contact we need to create object of CNMutableContact and set all the values of contact and then can store this object using ContactStore. We can also update the Contact by creating CNMutableContact object and then update contact using ContactStore as shown in below function. var message: String = ""
message = "Contact Updated Successfully"
message = "Contact Added Successfully"
message = "Unable to Update the Contact." message = "Unable to Add the New Contact." In Contacts framework we can search specific contact using NSPredicate. In below example we are searching contact based on matching name. For that we need to create object of NSPredicate with the name you want to search. Also we can set the property, which we want to retrieve from contact data using below line. And then using ContactStore object we can search contact data as shown in below function. Here it returns the array CNContact object, which contains all the information related to particular contact. Now we can display retrieved contact data in tableview using below function. 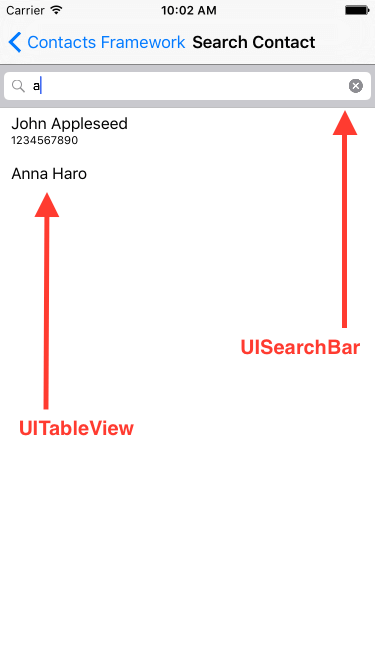 I hope you will find this post very useful while working with Contact Framework in Swift 2.0. Let me know in comment if you have any questions regarding in Swift. I will reply you ASAP. Being an iOS developer with experience of 3 years feels pretty awesome because much more than just playing around with code, software developers are the brains behind the design, installation, testing and maintenance of software systems.